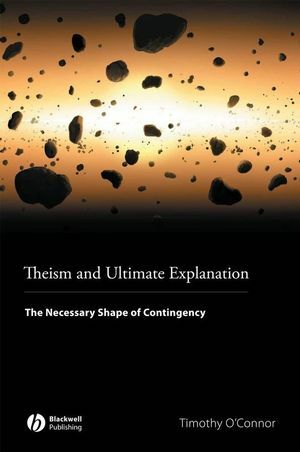 An expansive, yet succinct, analysis of the Philosophy of Religion – from metaphysics through theology. Organized into two sections, the text first examines truths concerning what is possible and what is necessary. These chapters lay the foundation for the book’s second part – the search for a metaphysical framework that permits the possibility of an ultimate explanation that is correct and complete. Timothy O'Connor is Professor of Philosophy at Indiana University, Bloomington. He has published widely in the areas of metaphysics, philosophy of mind, and philosophy of religion. He is the author of Persons and Causes (2000), and the editor of Agents, Causes and Events (1995) and Philosophy of Mind: Contemporary Readings (2003).